A woman has vowed to boycott Tesco after being called 'darling' by checkout staff. Beth Bellamy said that she's also been called 'sweetheart' and 'babe' in the same store, and claims the informal methods used by female workers is "patronising and offensive". Beth, while unhappy with the terms used, declined to name the Tesco branch and has apparently not made a formal complaint. Beth is one of five shoppers quizzed by the BBC about customer service – and what's made them decide, for whatever reason, to stop using certain companies. Beth said: "I was fed up with being called sweetheart, darling and babe by checkout operators at my local Tesco. So I told the young checkout lady that I would rather she didn’t call me that as it was patronising, and that I found it offensive. "She replied that if I didn’t like it I was free to use a different checkout operator. 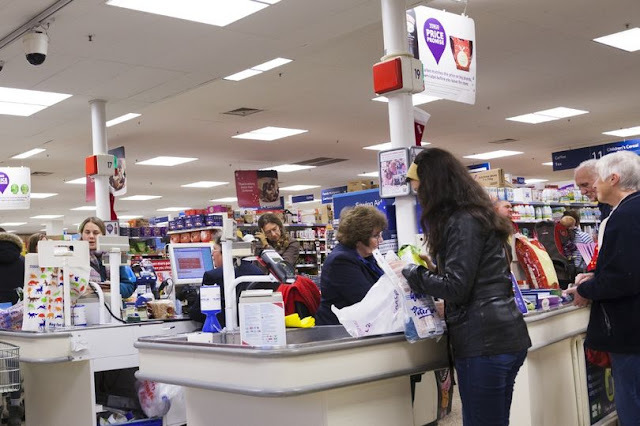 The checkout operator I chose was one at a completely different and cheaper supermarket." Beth's gripe brings about an interesting debate. Are phrases such as 'darling' demeaning, particularly when used to address women? Are they relics of the past that should be consigned to history? We don't know where Beth was shopping, but informal expressions such as 'darling' are used by people – not just staff – across the country. In the East Midlands, 'duck' is a common term, 'pet' is used in the North East, and 'love' in Yorkshire. In the beautiful West Country, 'my lover' is used by some, particularly those in rural areas. You may well walk into a pasty shop and be greeted with: "You alright my lover?" After a pasty, you absolutely will be. Mary Killen, etiquette expert and agony aunt for The Spectator , said: "I think this person who complained may have had too much time on her hands." Tesco confirmed that it has not received a formal complaint from Beth. "If this customer would like to discuss how we handled this situation, we’d ask them to get in touch so we can look into what happened," a spokesman told Mirror Online.